The Dresden Green was found in the famous Golconda mines in India and was purchased by Marcus Moses, a London-based diamond merchant. Moses attempted to sell it to George I for an incredible price (for the time) of £10,000. There is an interesting account of the meeting between Moses and the King in one of the news sheets of the time: “On Tuesday last, in the afternoon, one Mr. Marcus Moses, lately arrived from India, had the honour to wait on his Majesty King George I, with his large diamond, which is of a fine emerald green colour, and was with his Majesty nearly an hour. 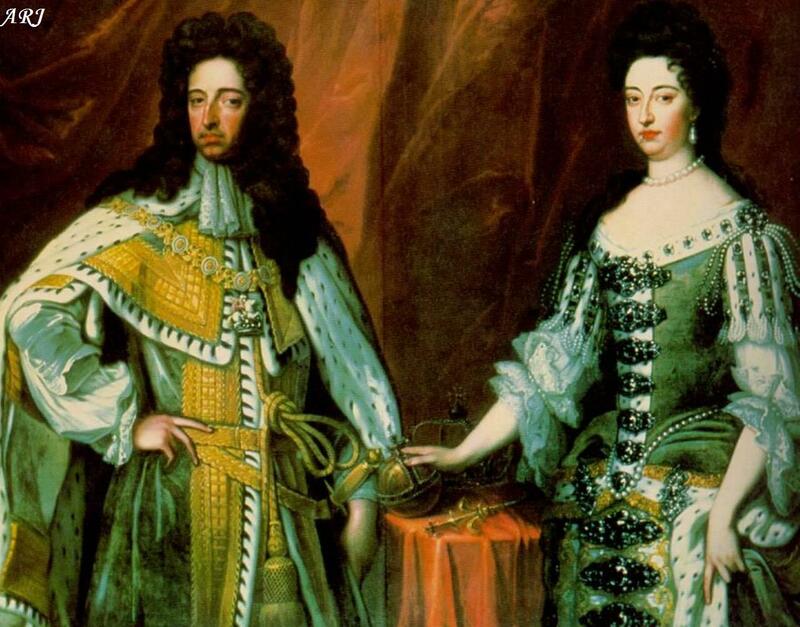 His Majesty was very much pleased with the sight thereof… We hear the gentleman values it at £10,000.” Despite the uniqueness of the diamond, George I chose not to buy it most probably because of the very high price. 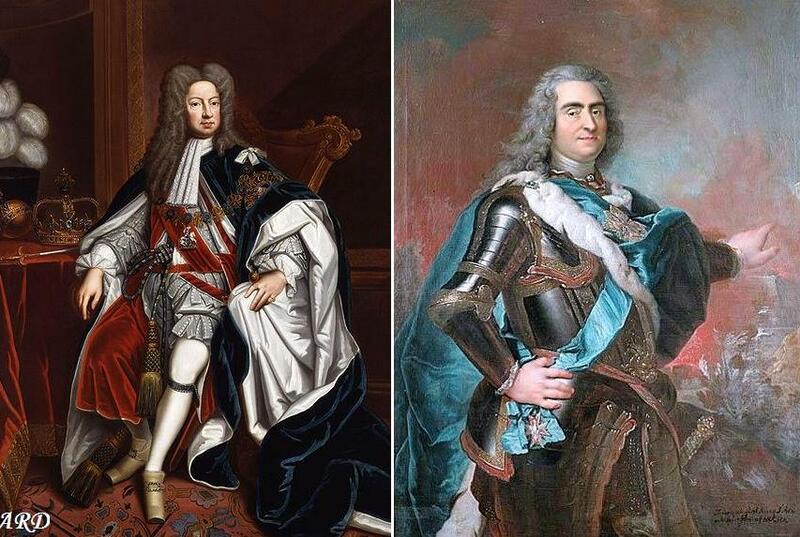 Moses then attempted to sell the diamond to Frederick Augustus I of Saxony (who also reigned as King of Poland as Augustus II) for even a higher price – £30,000, something we know from a letter sent by Baron Gautier to the Polish Ambassador in London. Moses’s second choice of a buyer is easily explained: Frederick Augusts was famous for the magnificent items of art and jewellery he possessed. 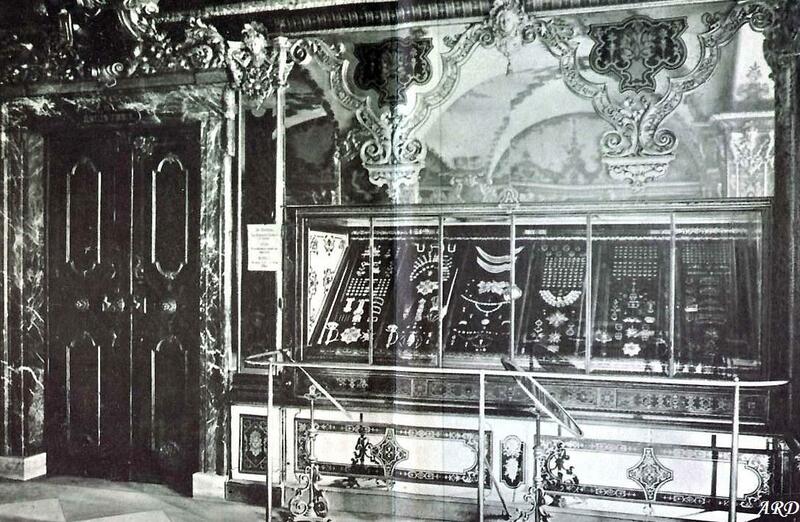 The King had even set up the “Greet Vault” in Dresden Castle to house his vast collection. Nevertheless, despite the appeal the diamond must have had for Frederick Augustus I, he refrained from buying it either. Moses apparently despaired to sell the green diamond to either George I or Frederick Augustus I, and so he sold it to a fellow jewellery merchant named Delles for an unspecified sum. It was Delles who in 1741 sold the stone to Frederick Augustus II (Augustus III of Poland), the son of Frederick Augusts I. The first setting of the Dresden Green was as part of the decorations on the Order of the Golden Fleece. It lasted only four years before Frederick Augusts ordered his court jewellers to create a new setting for the order, this time incorporating another fabulous diamond in his collection – the Dresden White (a cushion-shaped 49.7 carat diamond). During the very brief reign of his son and successor Frederick Christian, Saxony became involved in the final stages of the Seven Years War – a conflict that lasted from 1756 to 1763 and included all the great powers of Europe. Frederick Christian died after a reign of mere 74 days and was succeeded by his own son, Frederick Augustus I (the first King of Saxony not to be confused with Frederick Augustus I, Elector of Saxony). Because the country was still involved in the war, Frederick Augustus ordered the valuable treasures of the Green Vault to be moved to the fortress of Konigstein, although they got back “home” fairly soon. In 1768, Frederick Augustus ordered to dismantle the Golden Fleece ornament and create a new setting for the Dresden Green. 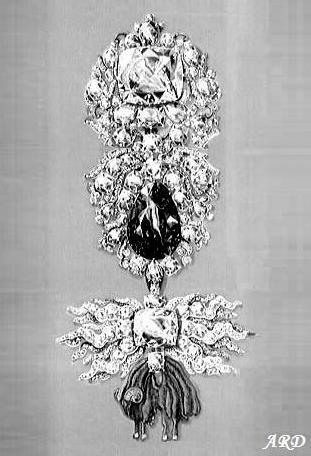 The task was entrusted to jeweller Diessbach who set the diamond on hat clasp – a magnificent jewel that survives to this day. 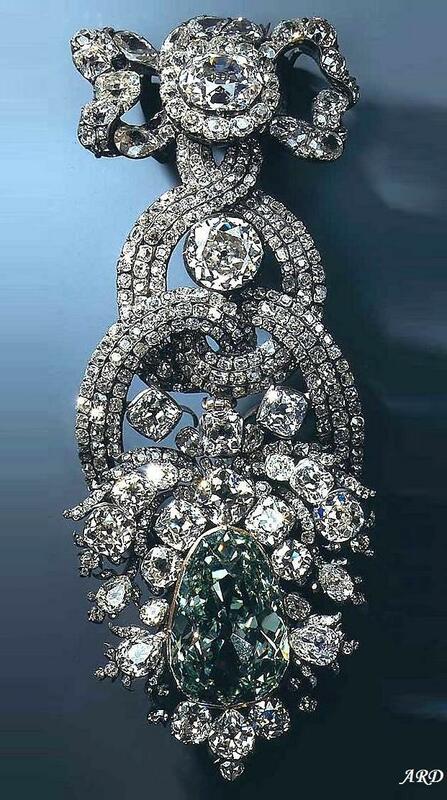 Since then, the Dresden Greed Diamond was displayed in the Green Vault (or the Grunes Gewolbe) of the Dresden Castle. As already mentioned, the Vault was founded by Frederick Augustus I, Elector of Saxony; the unique historic museum currently houses the largest collection of treasures in Europe. It remained open to the public until the beginning of World War II. In 1942, contents of the Green Vault were again transferred to the fortress of Koningstein for safekeeping. And it was certainly a very wise decision since Dresden (including Dresden Castle with its Green Vault) was almost completely destroyed by the massive Anglo-American bombing of the city in February of 1945. A little side note: that bombing destroyed one of the most beautiful cities in Europe, killing between 50,000 to 135,000 innocent people – and yet it was completely unnecessary and achieved virtually nothing from military point of view. The treasured of the Green Room, safely stored in Koningstein, escaped much damage. However, the Soviet Trophies Commission took the contents of the Vault to Moscow as spoils of war. The Dresden Green Diamond, along with the rest of the Crown Jewels, remained in the Soviet Union until 1958, when the Soviets gave it back to Germany. Because the Green Vault no longer existed, the collection was displayed at Albertinum, a modern art museum also located in Dresden. In 2004, the New Green Vault (Neues Grunes Gewolbe) was opened on the second floor of the restored Dresden castle. In 2006, the first floor was also officially opened. The meticulous research carried out by the restoration team means that the rooms are now almost exactly as they were before the bombings. 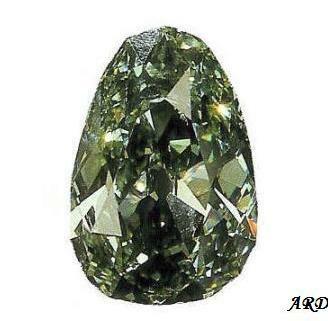 The Dresden Green Diamond returned to the Green Vault in 2004 and has been displayed there ever since. The only exception was the period between October 2000 and January 2001, when it was displayed at the Smithsonian Institution in the Harry Winston Gallery, alongside the equally (or possibly even more) famous and historical diamond, the Hope. Reblogged this on L'atelier Nawbar.